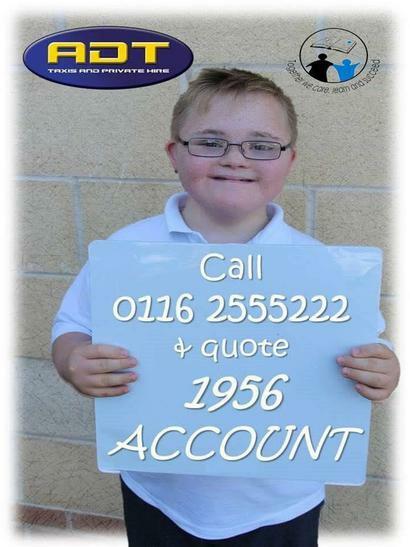 ADT Leicester Taxis are offering YOU the chance to help raise valuable funds for our Young People. Quote 1956 ACCOUNT when booking your cab. Dorothy Goodman will then receive 10% of the fare. Thank you to ADT for your support.